Please give a warm welcome this Friday to Anna from Noodlehead. Noodlehead is one of my favorite blogs to visit. She always has some beautifully lit photograph on her front page and some adorable piece of clothing or interesting pillow to showcase. I found Anna through a few of her many tutorials featured on Craft Gossip. Red, Red Shirt left. Spring Racing Jacket right. I love Anna's style. The clothing she chooses for her kids are a great combination of stylish, comfortable and kid appropriate. Anna's story reminds me a lot of how I also came to being a sewing blogger too. sewing with her mom. 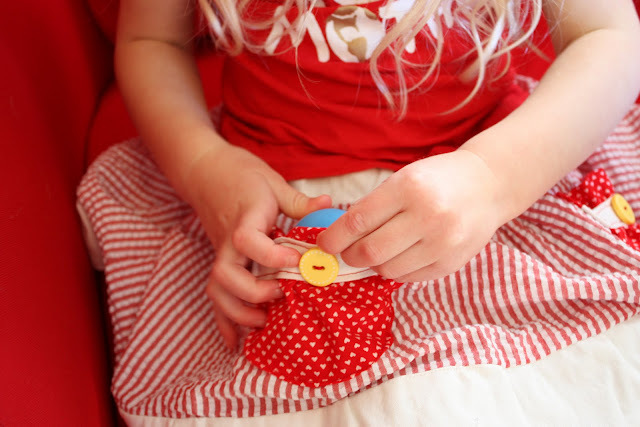 She says, "It definitely wasn’t my favorite thing to do, but I loved being able to make something on my own." 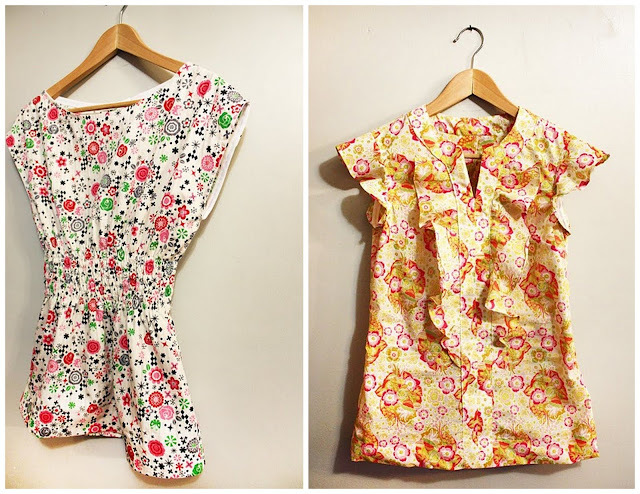 Having two daughters gave her the drive to start sewing more and after discovering the blogging world, she never turned back. Right now, she's having fun creating, making up new things as she goes along, discovering new techniques, and making her house a home. 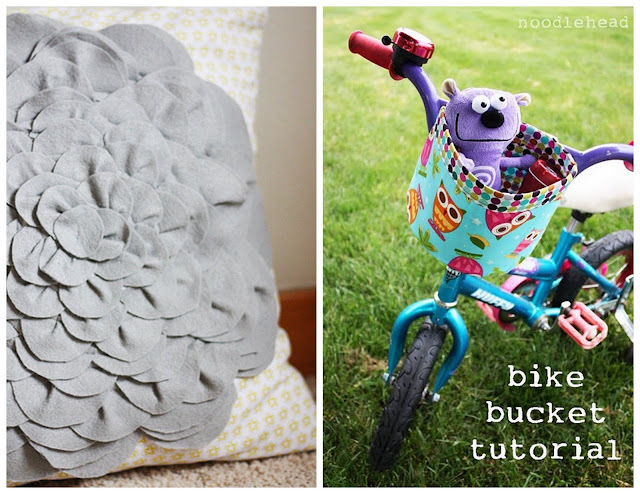 Flower Power Pillow left, Bicycle Bucket Tutorial right. 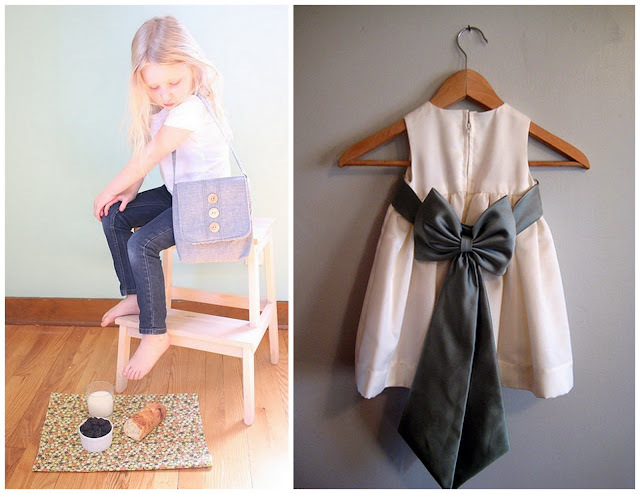 But she also takes time to sew for some really adorable clothes for herself! Spring Top left. Spring Top right. 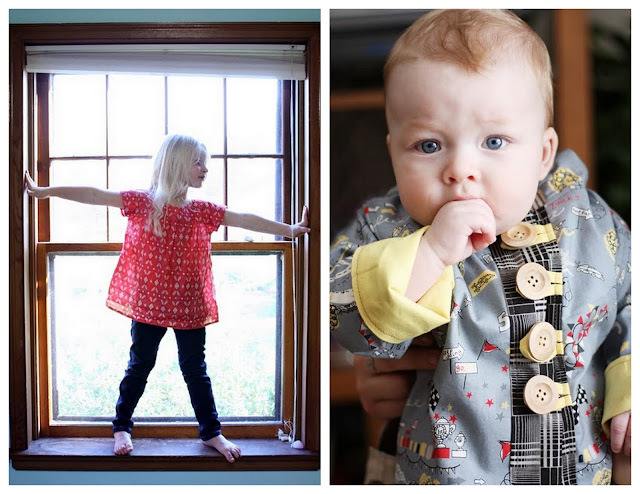 If you also have children and love DIY decorating, Anna's site is a great place for inspiration and daily dose of eye candy. Tale of Peter Rabbit Messenger Bag left, Flower Girl Dress right. I mean how cute is this? Pocket Full of Hearts Skirt below. 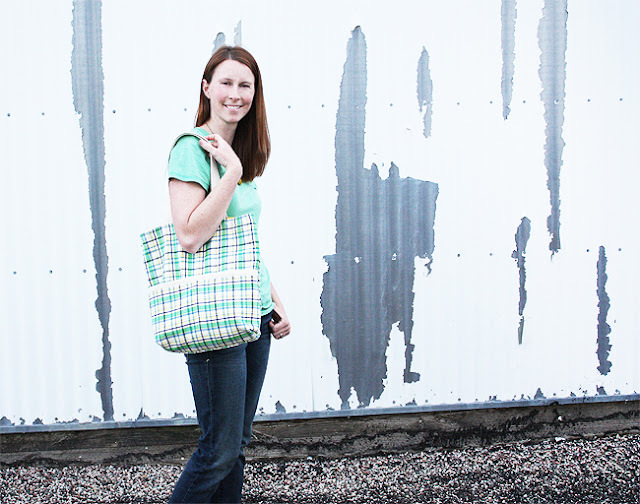 Thank you Anna for being a part of Free Pattern Month! I can think of so many ways your pattern would come in handy! hi grosgrain readers! So honored that Kathleen asked me to join in on the fun of free pattern month. There has been so many awesome patterns already, and hopefully you'll find this one handy for summer. 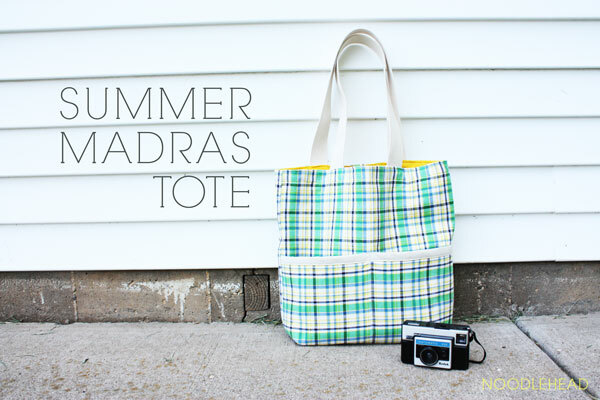 I scored lots of madras last week for $2 a yard and couldn't think of a better project than a fun and functional summer tote. There's always room in your collection for another bag, right?! I hope so. 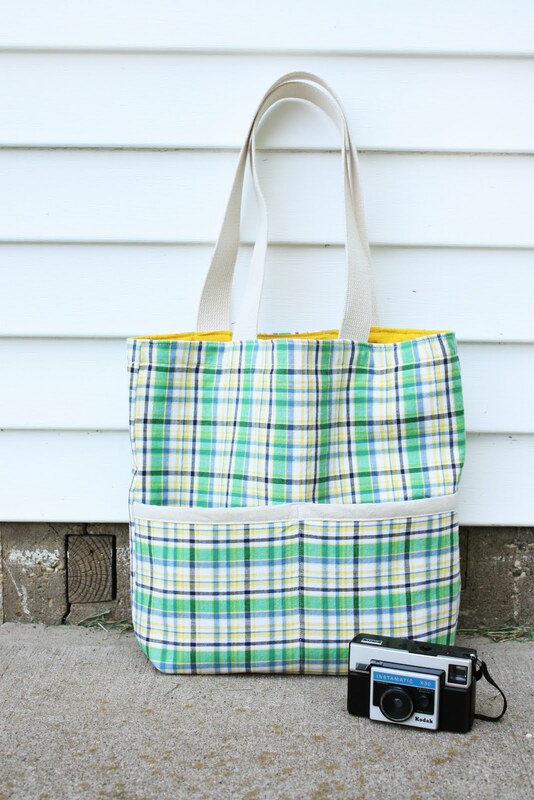 The best part is that the exterior and lining of the bag is made with 1/2 yard cuts, so I think in total my bag cost me around $8, not to shabby. Plus I won't feel bad kicking it around at the library, ice cream shop, and around town. 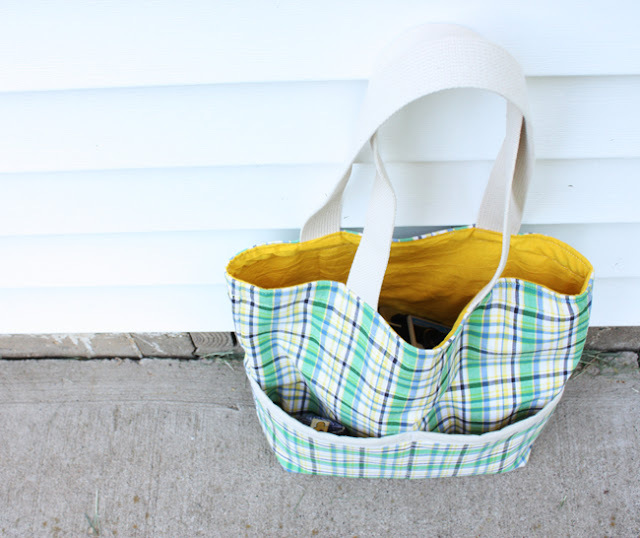 With two exterior front pockets my super important stuff won't ever get lost at the bottom of the bag, and this tote is a big one. 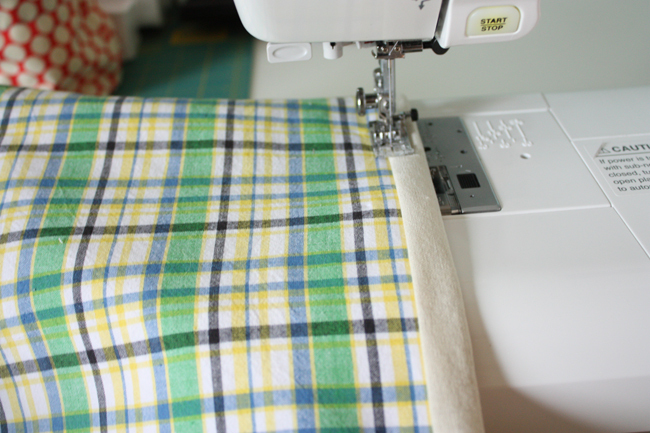 small strip of straight grain double fold bias tape, you can make it yourself with a piece of scrap! 2 pieces of each exterior, lining, and canvas to 17" wide by16.5" tall. Start by making the bias tape strip. 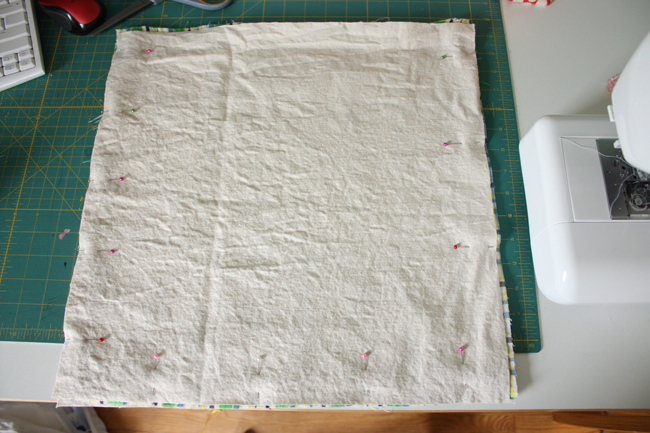 You'll need to fold it in half lengthwise WRONG sides facing, open up, turn raw edges to pressed line and press again. 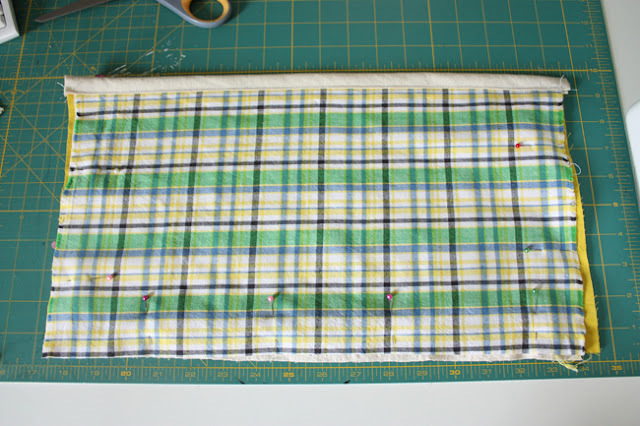 Take the three pocket pieces (exterior, lining, and canvas) and place them WRONG sides facing with the canvas in the middle. 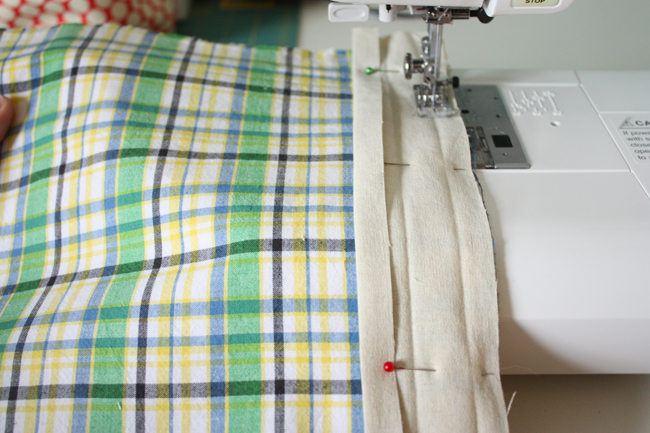 Open up the bias tape, pin along top edge of pocket. Sew along first crease line. 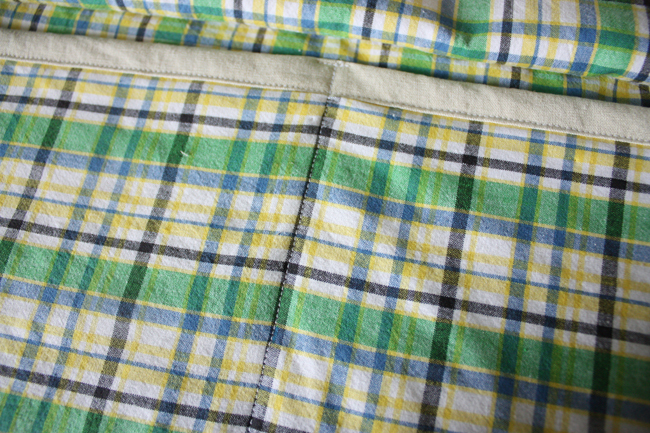 Fold the bias tape over to the back (lining) side of the pocket and sew again close to the edge. Baste along remaining edges of pocket piece. Set aside. 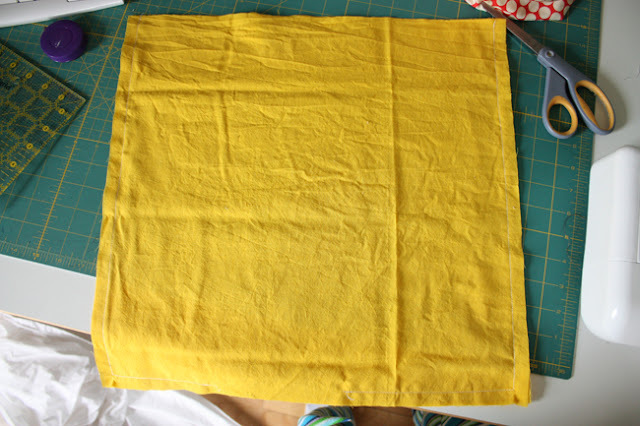 Place one piece of exterior fabric on top of one piece of canvas. Then place the assembled pocket piece exterior facing up on top. 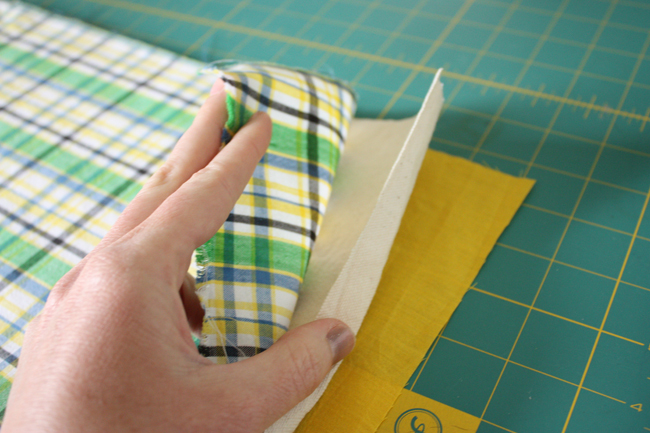 Sew down the middle of the pocket piece, marking a line with a water soluble pen if desired. This creates your divided pocket. 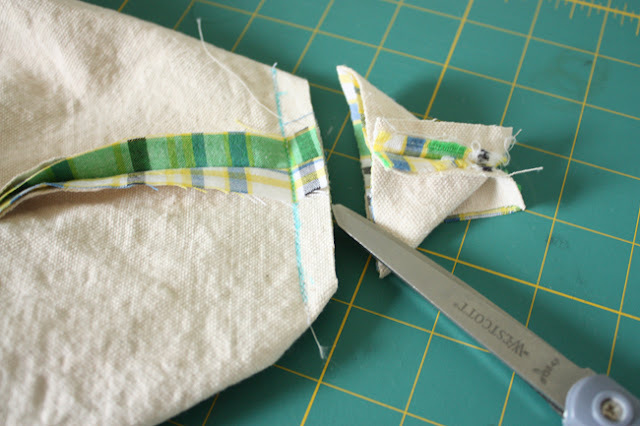 You might also want to do a few stitches across the top just to reinforce the pocket. Now place the remaining exterior piece RIGHT side down, then the remaining canvas piece of top of that. Pin along both sides and bottom edge. Sew along all three edges. 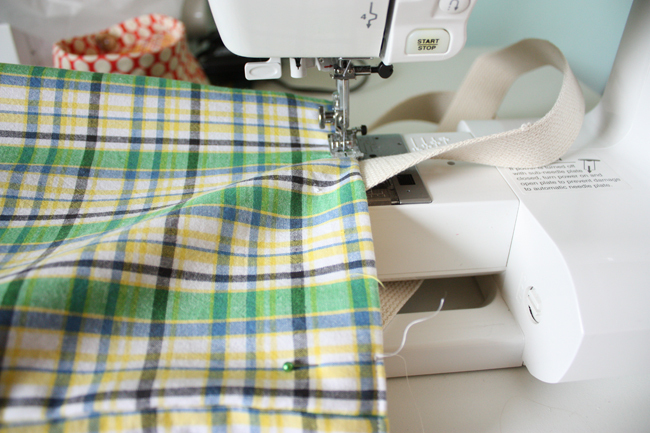 Now stick your hand inside the bag and pinch the bottom corner so that the side and bottom seams are aligned. With your water soluble pen mark a line that is 2" from the tip of the corner, perpendicular to the seam. Sew along that line. Clip corner. Repeat for remaining corner. Place lining pieces RIGHT sides together. Pin. Sew along both sides and bottom leaving a 5" opening along the bottom edge for turning. 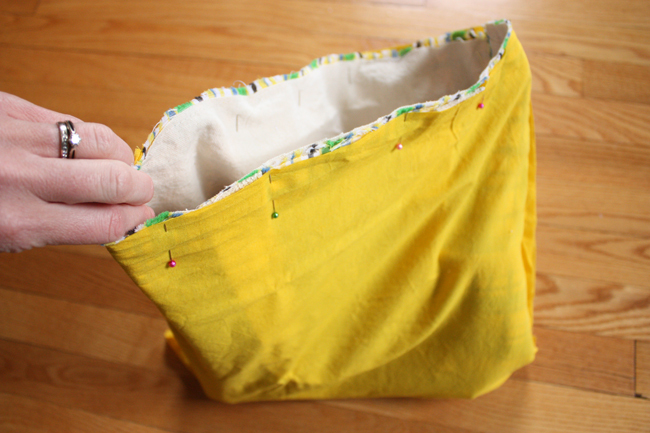 Again as with the exterior, stick your hand inside the bag and pinch the bottom corner so that the side and bottom seams are aligned. With your water soluble pen mark a line that is 2" from the tip of the corner, perpendicular to the seam. Sew along that line. Clip corner. Repeat for remaining corner. 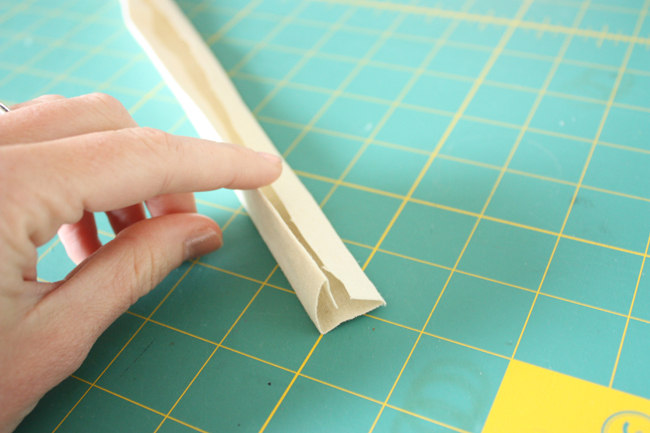 Align the raw edges of each handle with the raw edges of the top of the tote. Baste in place so that the handles are 5" apart. Slip the exterior into the lining piece RIGHT sides facing. Sew around top opening of the tote. Turn right side out through the opening you left in the lining. Tuck in raw edges of lining and sew shut using a small seam allowance. Push lining into the exterior and press along the top edge. Sew two rows of top stitching along the top edge. 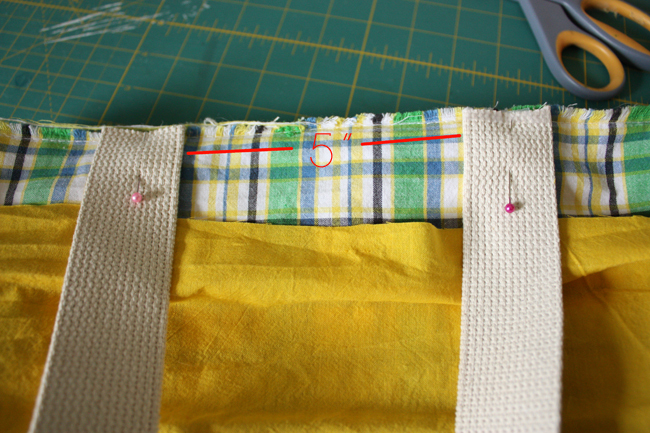 I suggest using a slightly larger stitch length for top stitching. Sling it on your shoulder and you're ready for a fun summer! Thanks so much for having me Kathleen. Anna, thank you for being a part of Free Pattern Month! I love how you lined it and everything. Looks totally warm weather worthy! Keep up all the great blogging! Stay tuned Monday for Novita of Very Purple Person! So cute! 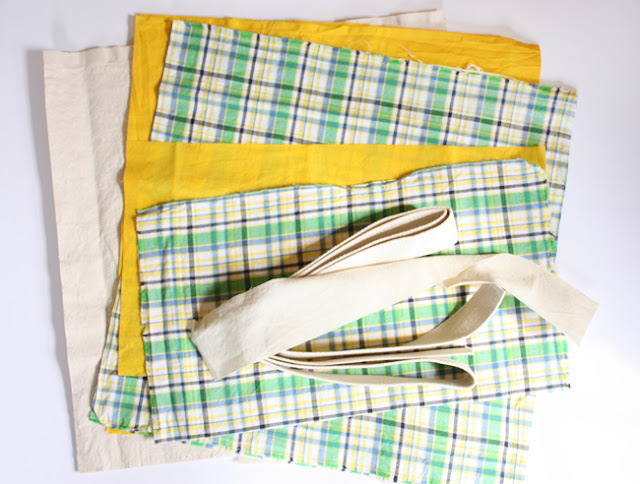 I have a ton of half-yard pieces hanging out in my closet since I'm such a fan of remnants - sounds like a perfect project for them! 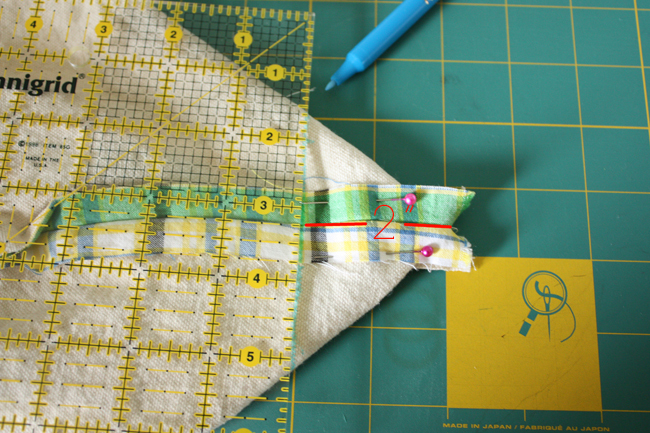 The pocket piece could also be something coordinating, so you could have even less than half a yard and still pull the project off. Thanks for a great tutorial, Anna! Ohhhh, love this! So perfect for summer! And Anna...those sandals in the pics are adorable! 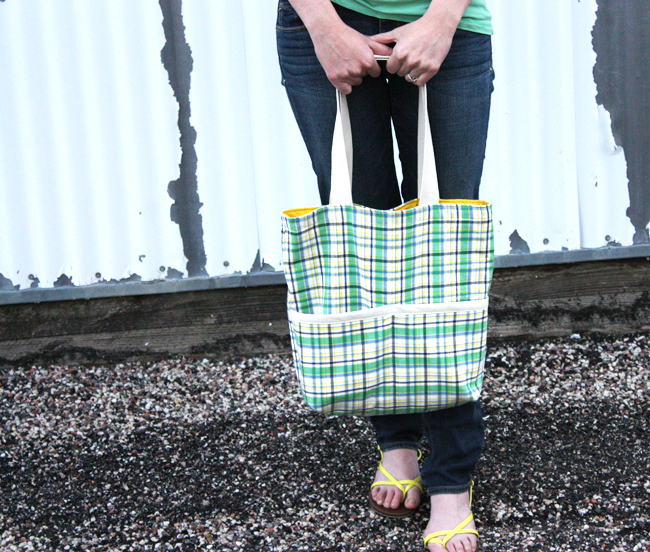 Such a fun tote, with great details like the contrast on the pockets. This is so cute! I'm just getting back into sewing after a HUGE hiatus where I had 4 kids and missed out on all the sewing for my darling baby girls. :( I've never made a bag! Horror. I can't wait to get started on this one! I'm so excited!! Hello from Poland :) I've just fallen in love with your blog <3. Oh Anna, I love this! Great colors, great bag. Totally want to go to the beach. I love it! I may have to make one of these next week for memorial day weekend! Wow - yes- there is absolutely room for such a beautiful bag in my collection. Hey Anna, I love your bag! The pockets are so nice for knick knacks, and the fabric you chose is so cheerful and fresh! Another fab pattern by Anna! 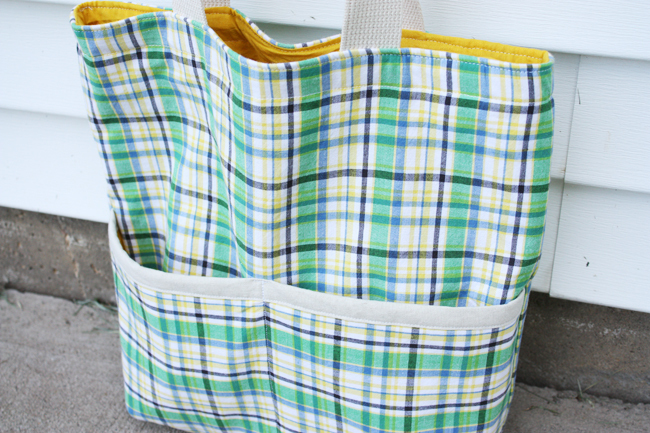 Can't wait to make this bag...looks like a perfect bag for the beach! What a great tote! I can see myself making quite a few of these for every mood! Thanks for sharing! I love Anna! She is the queen of great bags. Do you only post comments and never questions? This is not the first time I have asked a question on your blog and then not seen it posted. I love your blog, but I think that is silly. Yep, you're right, I made a typo, they're 24 inches long each. :) Sorry about that! Hi there, I'm looking at this as a beginner in sewing (and maybe I'm being dense lol) but I don't get the measurements. You say 3 half yards of fabric is needed, but when looking at the cuts, it adds up to more.....how wide are your half yards please, would they be 50"
I just finished my second one! I made this one slightly smaller for my mom, using 15" squares and a 15" x 7.5" piece for the pocket. Jak, if you buy a half yard, you have 18" by 44". If you cut the 17" inch length from the 18" direction, you'll be able to get all three pieces: 16.5, 16.5 and 9, which add up to 42". 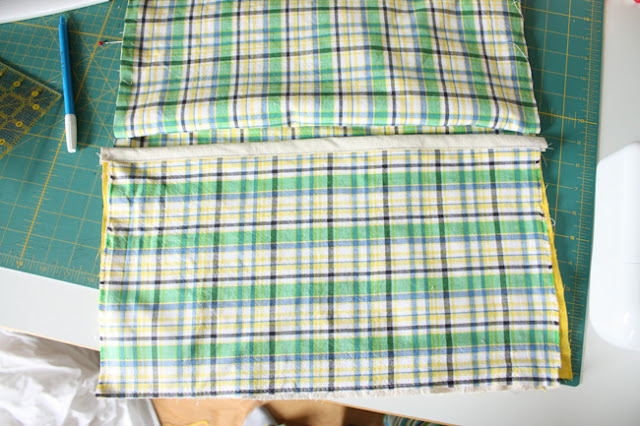 You need 3 pieces from each fabric, the outer plaid, the inner solid, and the canvas lining. You'll also need a scrap big enough to make your pocket's bias strip, but you should have a piece that works after you cut the other rectangles. I hope that helps!